Cummins Onan Marine Generators	There are 12 products. 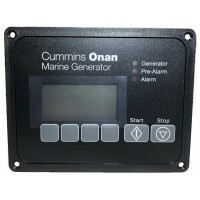 Cummins Onan Marine Generators For Sale - Contact us here or chat with us below for a price quote or any questions you may have on Cummins Onan Marine Generators. *Contact Us For Limited Time Boat Show Discounts On Our Marine Generators! 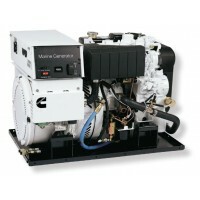 CUMMINS ONAN 5 kW Marine Generator (MDKBH), 60 Hz, 1 phase, 120V, 2900 RPM. 2-cylinder, 4-stroke Kubota diesel. Digital Display provides user-friendly diagnostics, optimized mounting greatly reduces vibration. EPA & Lloyd's certified. Sound shield included. 5 year limited warranty. * MFG#: MDKBH**Contact Us For Limited Time Boat Show Discounts On Our Marine Generators! 1-800-766-5256, sales@citimarine.com or chat with us below! 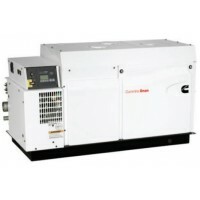 CUMMINS ONAN 7.5 kW Marine Diesel Generator MDKBJ, 60 Hz, 1 phase, 120V, 2900 RPM. 3-cylinder, 4-stroke Kubota diesel. Digital Display provides user-friendly diagnostics, optimized mounting greatly reduces vibration. EPA & Lloyd's certified. Sound shield included. 5 year limited warranty. * MFG#: MDKBJ**Contact Us For Limited Time Boat Show Discounts On Our Marine Generators! 1-800-766-5256, sales@citimarine.com or chat with us below! 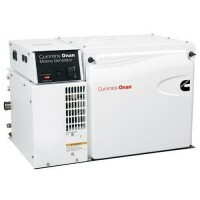 CUMMINS ONAN MDKDL - 9 kW Marine Generator, 60 Hz, 1 phase, 120V, 1800 RPM. 3-cylinder, 4-stroke water- cooled Kubota diesel.Self-monitoring capability / network communication.User-friendly diagnostics. EPA & Lloyd's certified. Optional soundshield.5 year limited warranty. * MFG#: MDKDL**Contact Us For Limited Time Boat Show Discounts On Our Marine Generators! 1-800-766-5256, sales@citimarine.com or chat with us below! 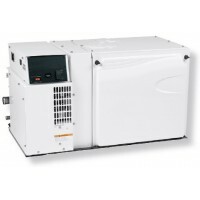 CUMMINS ONAN MDKDM - 11.5 kW Marine Generator, 60 Hz, 1 phase, 120V, 1800 RPM. 4-cylinder, 4-stroke water-cooled Kubota diesel, Cummins Onan alternator. Self-monitoring capability / network communication. User-friendly diagnostic.EPA & Lloyd's certified. Ignition protected. 5 year warranty*. MFG#: MDKDM**Contact Us For Limited Time Boat Show Discounts On Our Marine Generators! 1-800-766-5256, sales@citimarine.com or chat with us below! 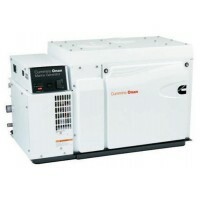 CUMMINS ONAN MDKDN - 13.5 kW Marine Generator, 60 Hz, 1 phase, 120V, 1500 RPM. 4-cylinder, 4-stroke water- cooled Kubota diesel.Self-monitoring capability / network communication.User-friendly diagnostics. EPA & Lloyd's certified. Optional soundshield.5 year limited warranty. * MFG#: MDKDN**Contact Us For Limited Time Boat Show Discounts On Our Marine Generators! 1-800-766-5256, sales@citimarine.com or chat with us below! 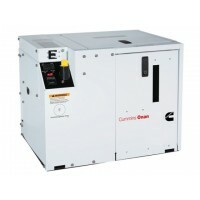 CUMMINS ONAN MDKDP - 17 kW Marine Generator, 60 Hz, 1 phase, 120/240V, 1800 RPM. 4-cylinder, 4-stroke water- cooled Kubota diesel.Self-monitoring capability / network communication.User-friendly diagnostics. EPA & Lloyd's certified. Optional soundshield. 5 year limited warranty. * MFG#: MDKDP**Contact Us For Limited Time Boat Show Discounts On Our Marine Generators! 1-800-766-5256, sales@citimarine.com or chat with us below! 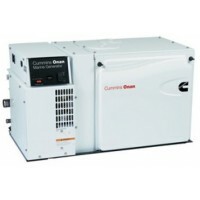 CUMMINS ONAN MDKDR - 21.5 kW Marine Generator, 60 Hz, 1 phase, 120/240V, 1800 RPM. 4-cylinder, 4-stroke water- cooled Kubota diesel.Self-monitoring capability / network communication.User-friendly diagnostics. EPA & Lloyd's certified. Optional soundshield. 5 year limited warranty. * MFG#: MDKDR**Contact Us For Limited Time Boat Show Discounts On Our Marine Generators! 1-800-766-5256, sales@citimarine.com or chat with us below! 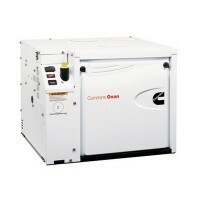 CUMMINS ONAN MDKDS - 29 kW Marine Generator, 60 Hz, 1 phase, 120/240V, 1800 RPM. 4-cylinder, 4-stroke water- cooled Kubota diesel.Self-monitoring capability / network communication.User-friendly diagnostics. EPA & Lloyd's certified. Optional soundshield.5 year limited warranty. * MFG#: MDKDS**Contact Us For Limited Time Boat Show Discounts On Our Marine Generators! 1-800-766-5256, sales@citimarine.com or chat with us below! Remote-Mounted Cummins Onan Digital Display. 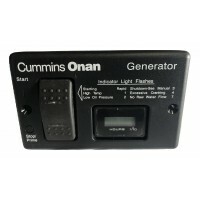 Cummins Onan Digital Display graphical LCD remote display for genset operating parameters and diagnostics. Weather protected plastic enclosure with a graphical LCD display and two 8-pin Deutsch connectors.Part Number: 0541-1130**Contact Us For Limited Time Boat Show Discounts On Our Marine Generators! 1-800-766-5256, sales@citimarine.com or chat with us below! Cummins Onan Deluxe Remote Panel - 12V - With start/stop swicth run (green) and control status (amber) lamps and digital hour meter. Plastic Panel is Black. Part Number: 0300-5727-01**Contact Us For Limited Time Boat Show Discounts On Our Marine Generators! 1-800-766-5256, sales@citimarine.com or chat with us below! 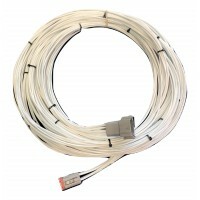 Cummins Onan Remote Panel Harness 25 ft.
Cummins Onan Remote Panel Harness 25 ft (7.6m). Easy, plug and play connection between genset and remote panel. Part Number: 0338-3168**Contact Us For Limited Time Boat Show Discounts On Our Marine Generators! 1-800-766-5256, sales@citimarine.com or chat with us below!